Sarah Catering was established in 1974 and specialises in outside catering in peoples homes, halls, stately homes and particularly marquees. A list of menu suggestions is available on our website and we will be please to discuss with any potential customer their full requirements, tailored to their special needs or budget. Fully trained bar staff are available and are charged to the customer on an hourly basis. Customers can either provide their own wines, for which there is NO corkage charge, or select from Sarah's wine list. If you have an enquiry please do not hesitate to contact us. Alternatively you can click the link below and fill out our enquiry form. Following this we will get back to you as soon as possible. Thank you for your interest in “Sarah” a catering company established in 1974 to specialise in outside catering in people’s homes, halls, stately homes and particularly marquees. As the business has developed over the years marquee weddings have become a core part of the business. As well as in marquees Sarah has catered at Broughton Hall, Utopia at Broughton Hall, Bank Newton in Gargrave, Knowles Lodge in Appletreewick, Giggleswick School in Settle, East Riddlesden Hall in Keighley, Cartwright Hall in Bradford, the law courts in Leeds and York and the Mansion House in Doncaster. She has also has the pleasure of catering for the Princes William and Harry near Skipton, The Duke of Kent, Lord Lieutenants of both West and North Yorkshire, the Chancellor of Leeds University and the High Sheriffs of West Yorkshire. For the last 10 years Sarah has catered for the Bingley and Malham shows each summer. Sarah also organised, opened and ran the restaurant at the House of Bruar, just north of Blair Atholl in Scotland. Sarah has gained an IMA degree in catering at Leeds University and gained a further qualification at the Ecole de Cordon Blue in Paris. She also gained commercial experience with a large plc in the South of England. Because of her vast experience and many years running her own business, Sarah has built a reputation for providing her customers with excellently prepared and presented food, served by fully trained and friendly staff and her continuous eye for detail. 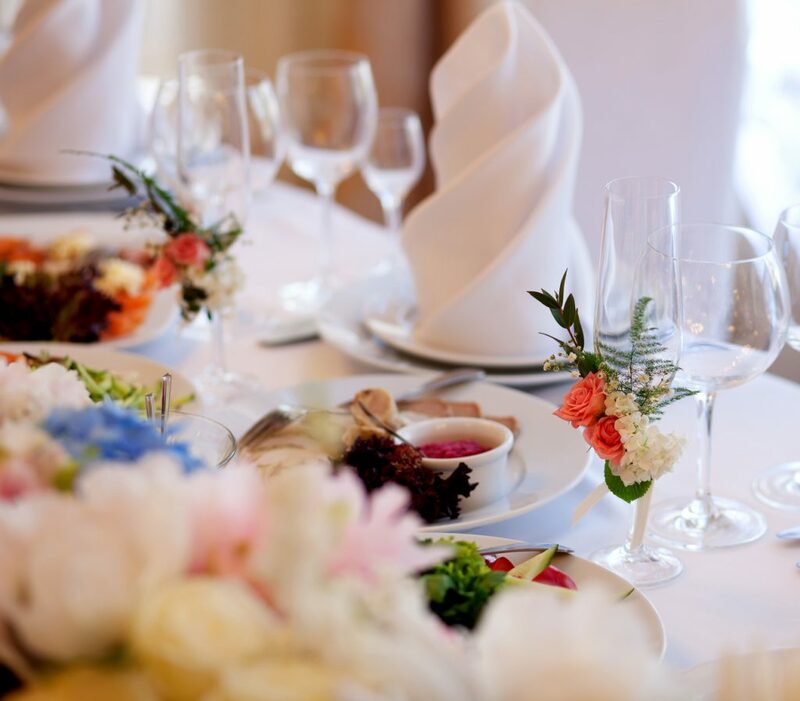 Tony Hunter has many years experience in the catering business, both as a chef in the navy and then latterly with Sarah and other catering organisations. Tony, enjoys the challenges of running the kitchens for large outside catering functions for Sarah. Both Sarah and Tony believe this reorganisation of the business will continue to provide the well established reputation that the customers have come to expect of Sarah. This will also provide the framework for further development over the next years.